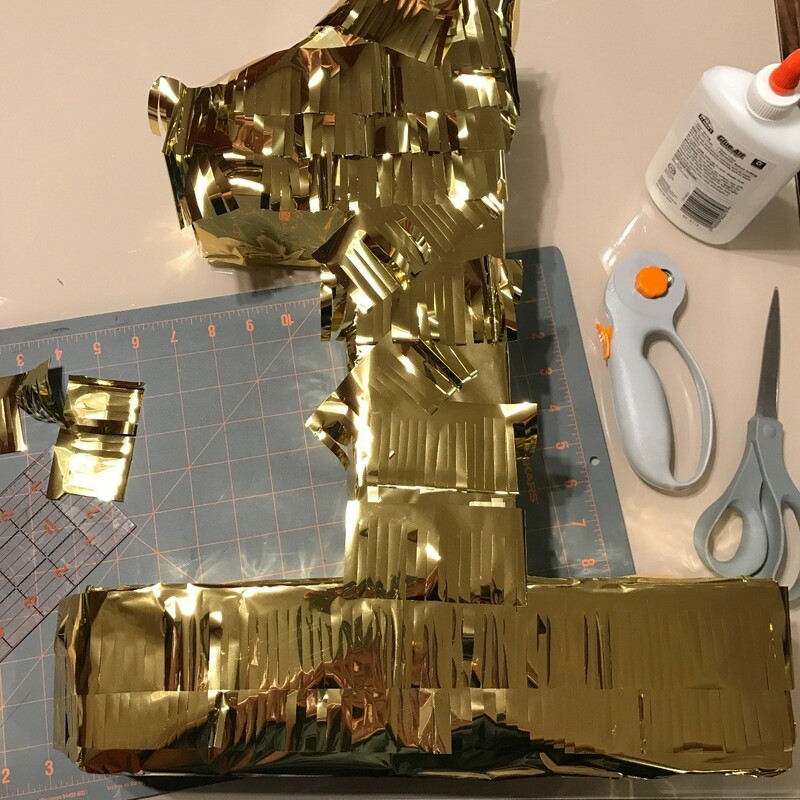 Making a piñata for an upcoming birthday is a fun craft that allows you to create your own design. 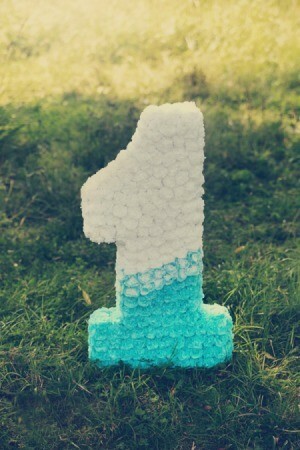 One possibility it to create one reflecting the age of the celebrant. 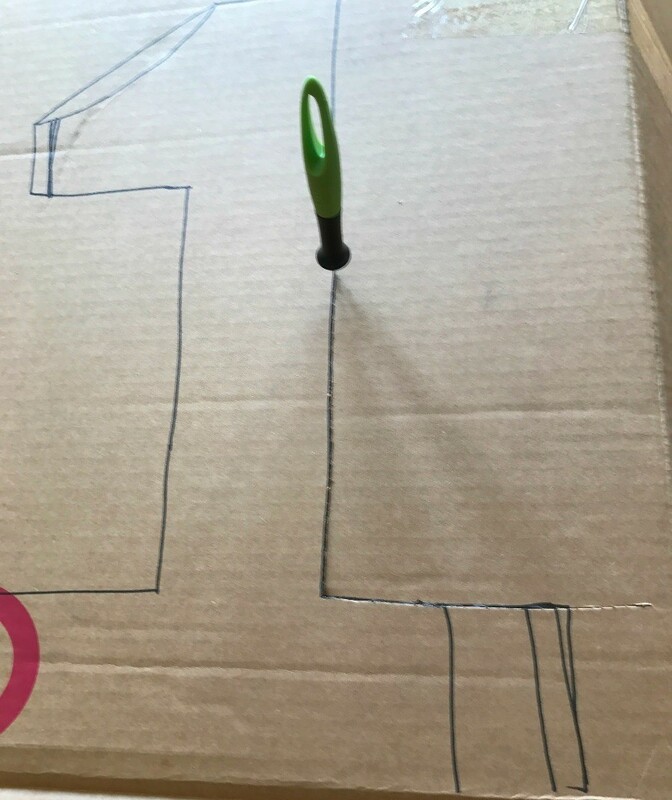 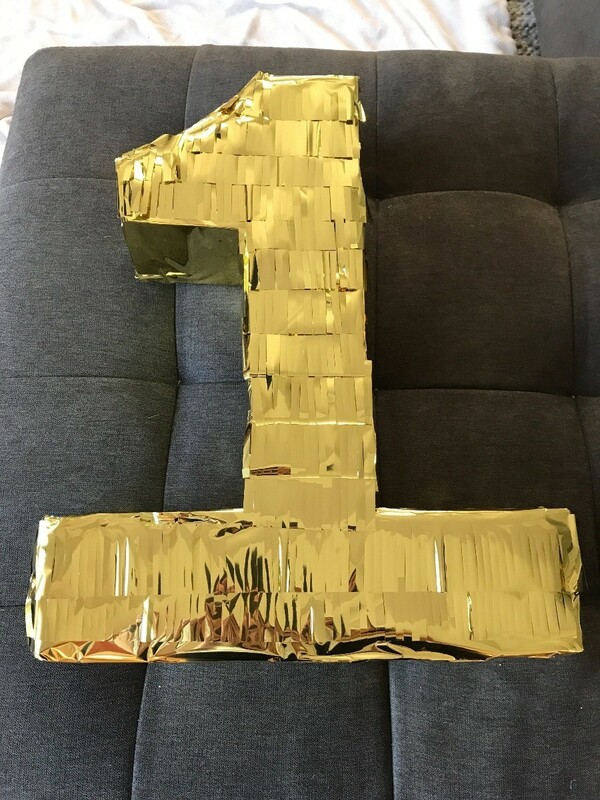 This guide contains instructions for making a birthday number piñata. 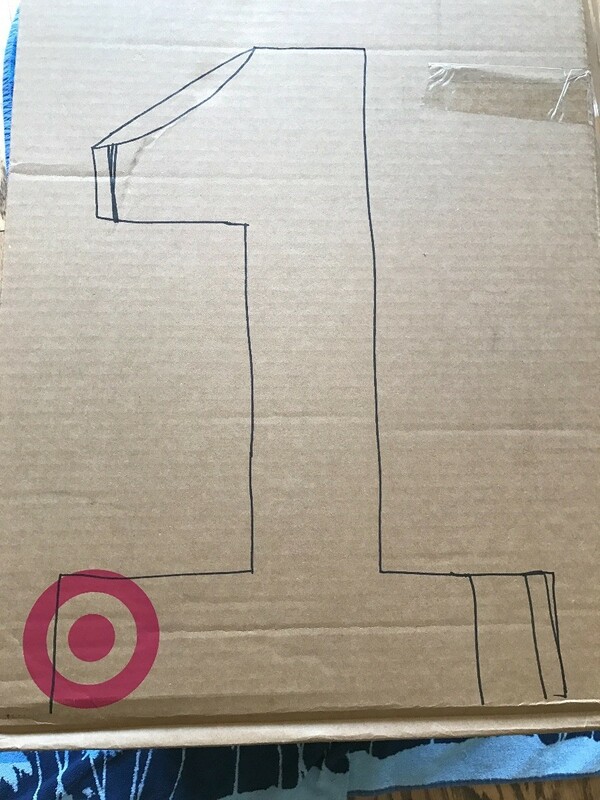 I made this birthday number "1" piñata by recycling shipping boxes I received from my Target orders. 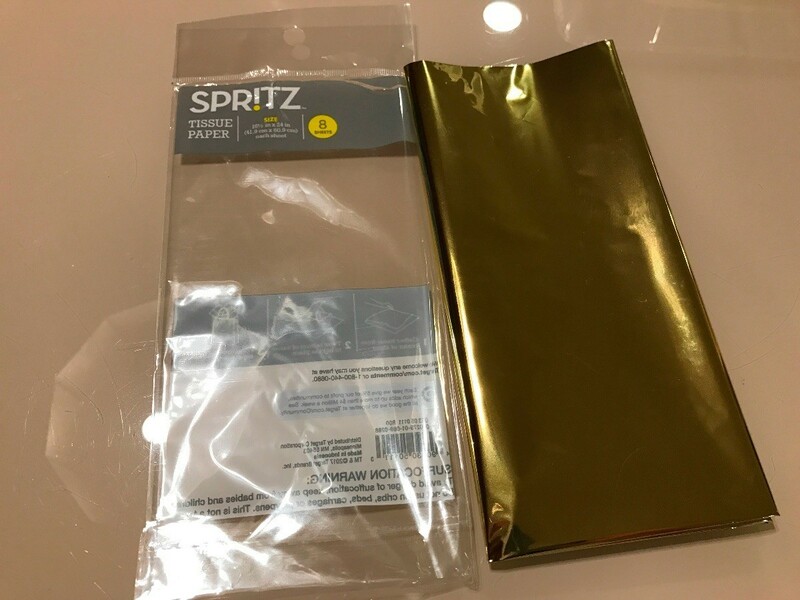 The only item I needed to purchase was the metallic gold tissue paper, 8 count, at Target for $1.49. 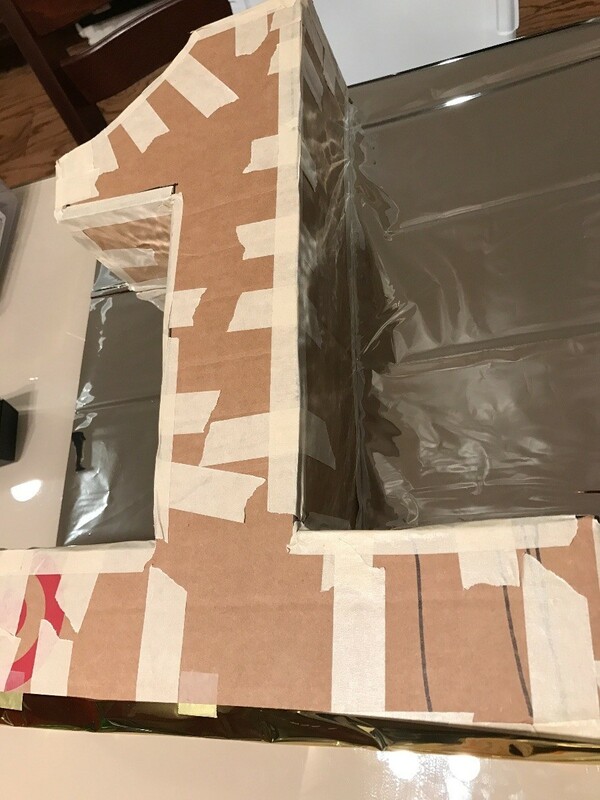 You could use paint if you wanted or decorate with other materials you have on hand making this project essentially free. 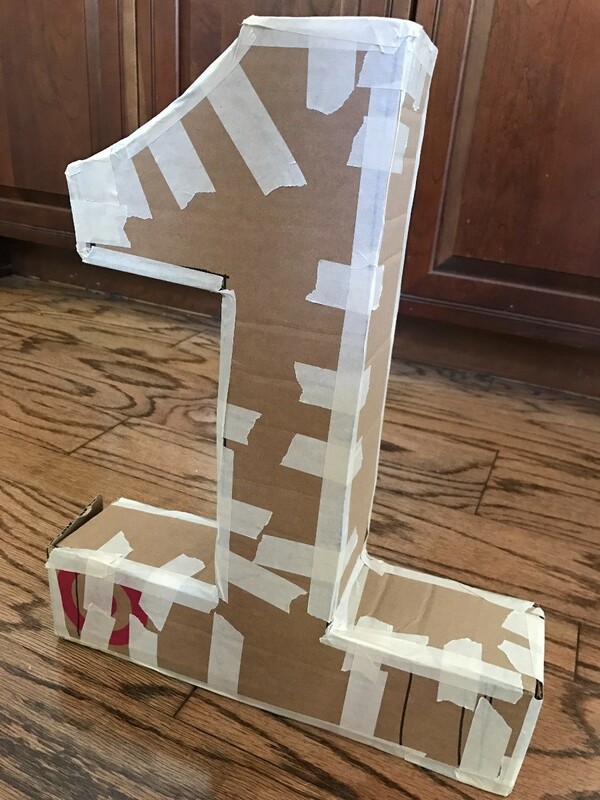 This craft cost less than $2 compared to purchasing a store bought generic piñata for $15-30. 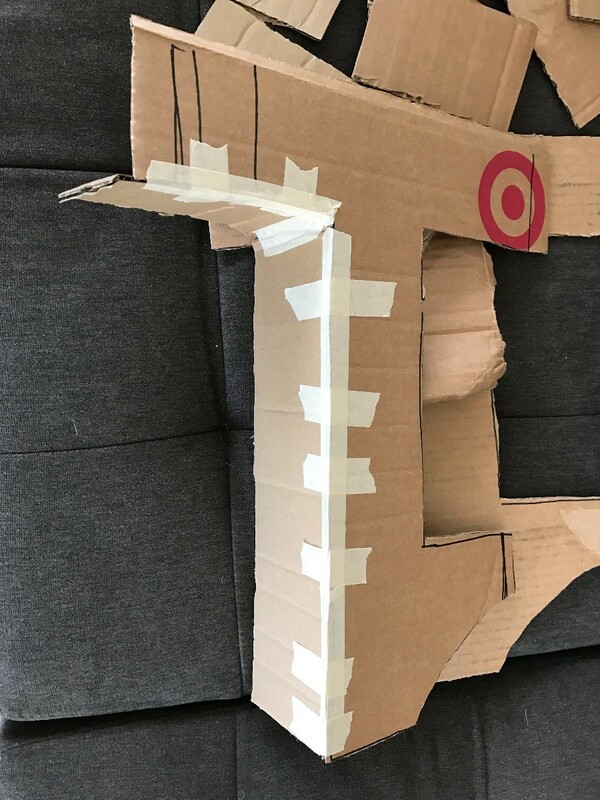 I worked on this project a little per day, but you can definitely get this piñata done in a couple of hours. 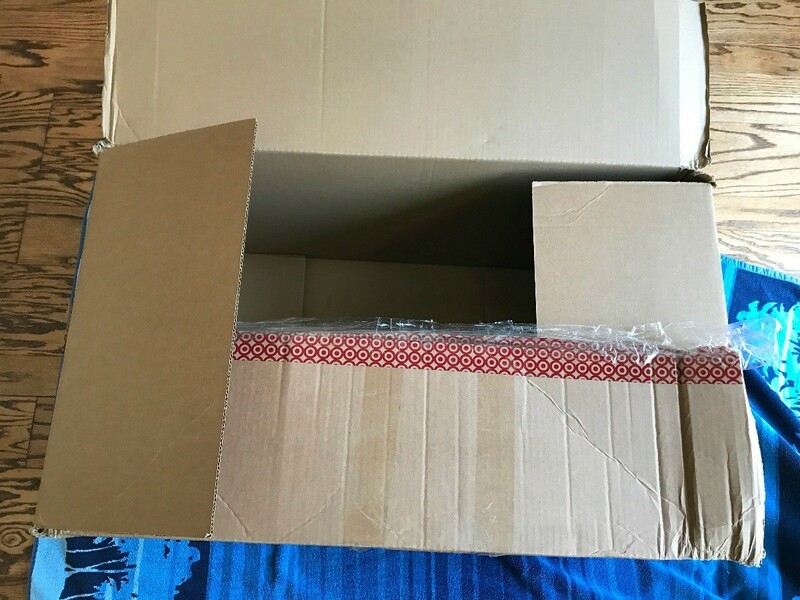 The larger the box, the better. 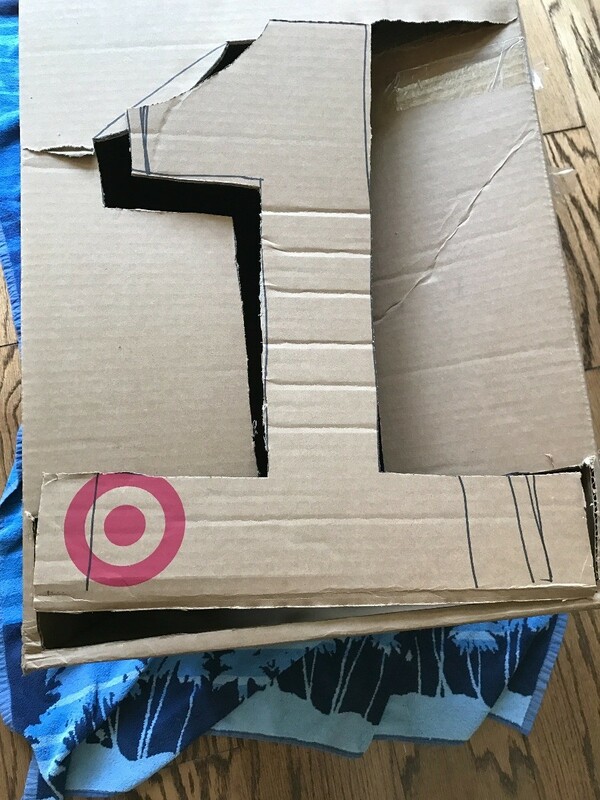 I freehand the number "1" with a Sharpie on the box and using an X-acto knife cut it out. 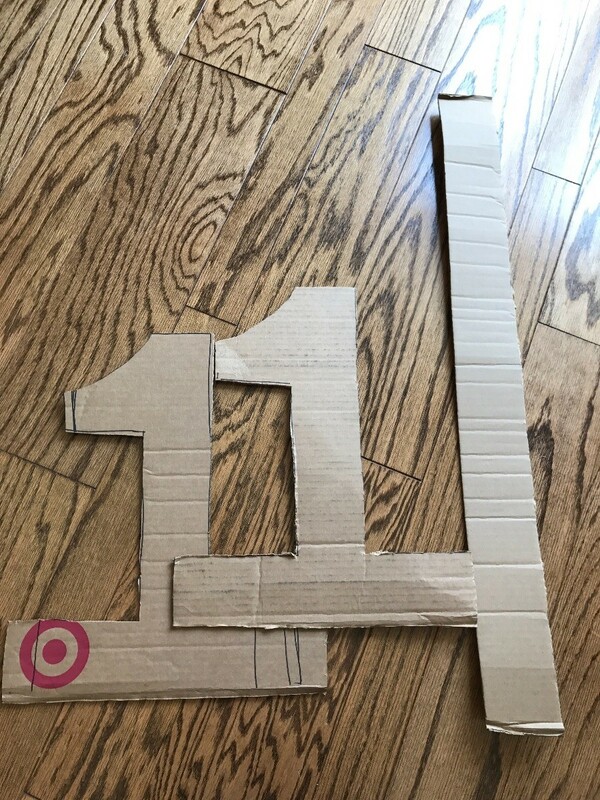 Once you cut the "1" out, you will need to trace another one and cut it out. 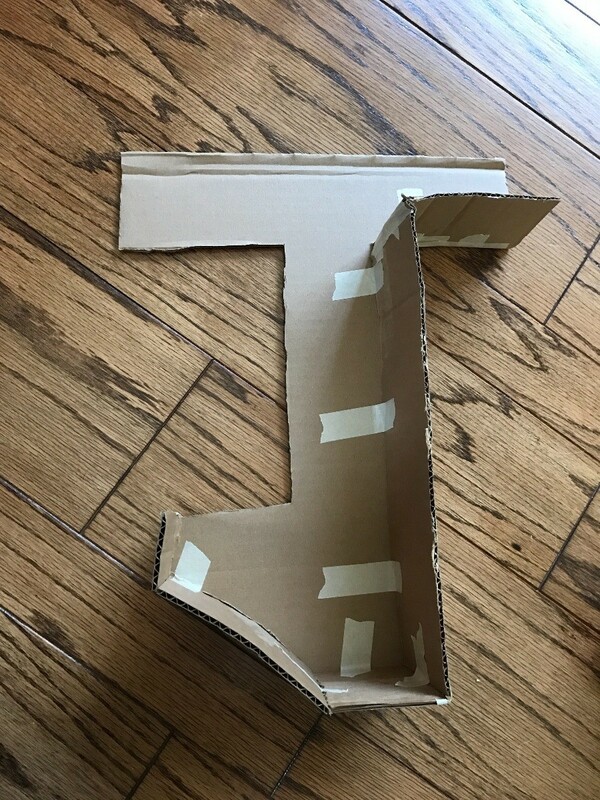 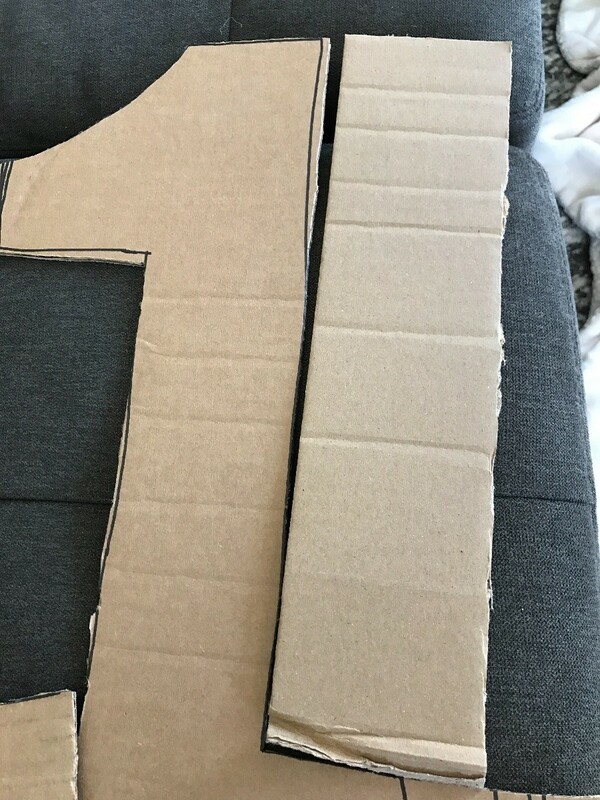 Also cut out a long strip of cardboard the same width as the center of the 1 (as pictured). 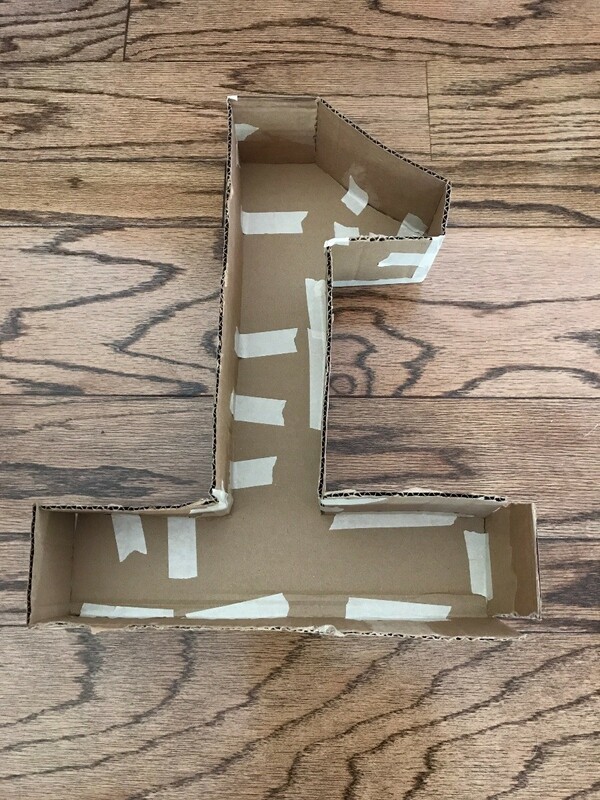 Using the long strip you cut earlier, set it beside the "1" and cut to fit the edges all around to form a hollow "1". 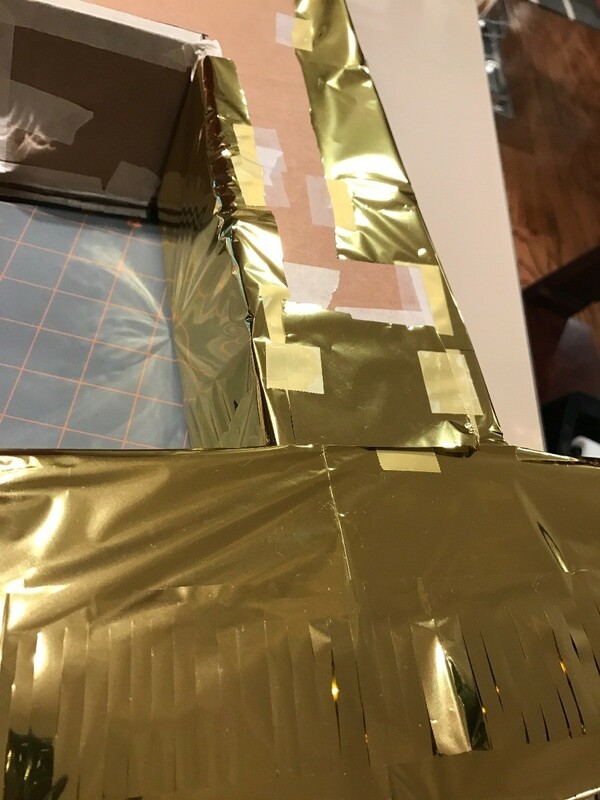 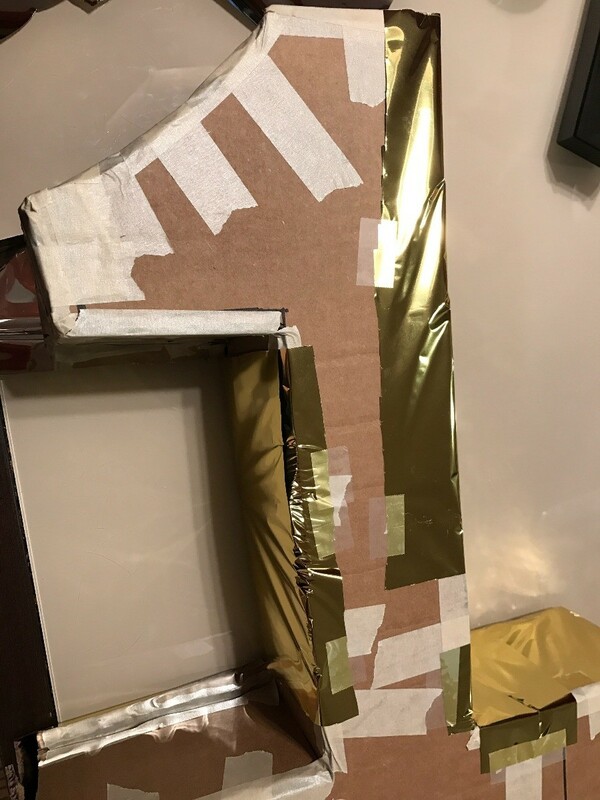 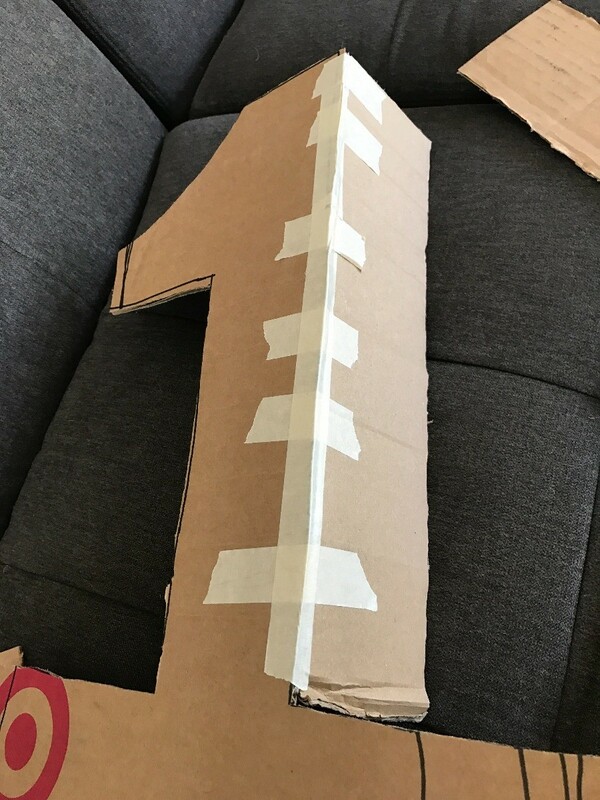 Using masking tape, securely piece the strip along the number 1. 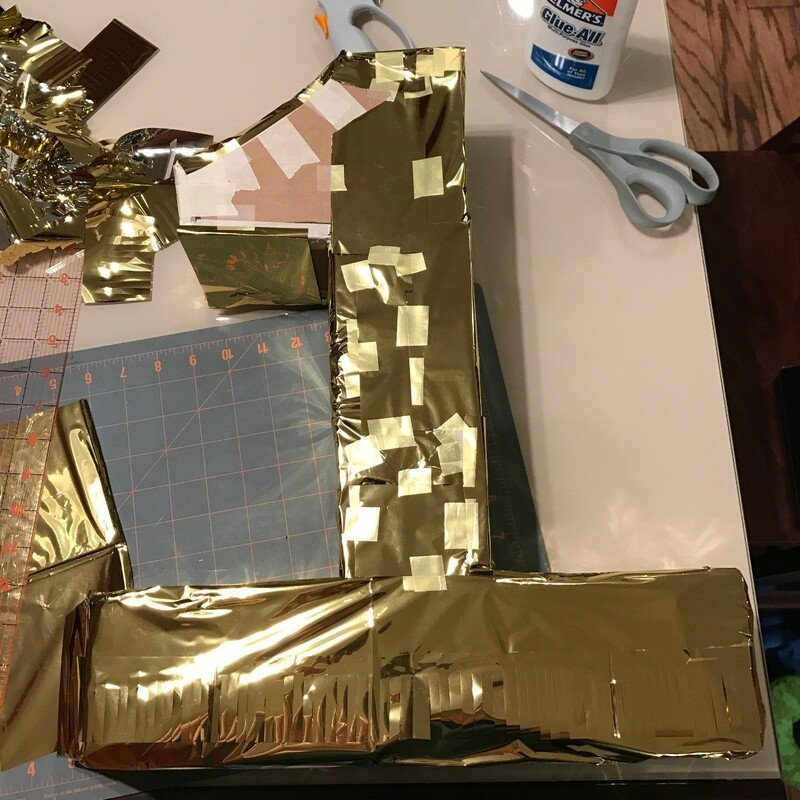 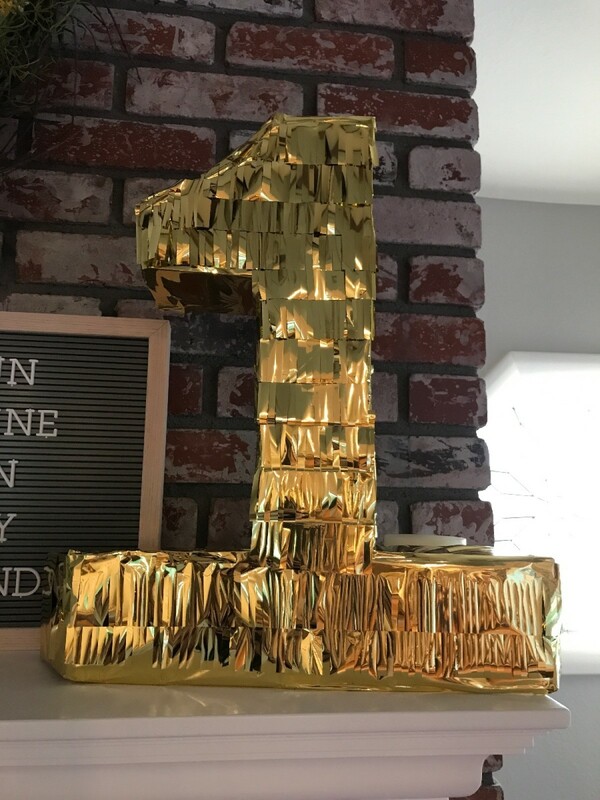 I used a gold metallic tissue paper from Target and covered the entire number "1". 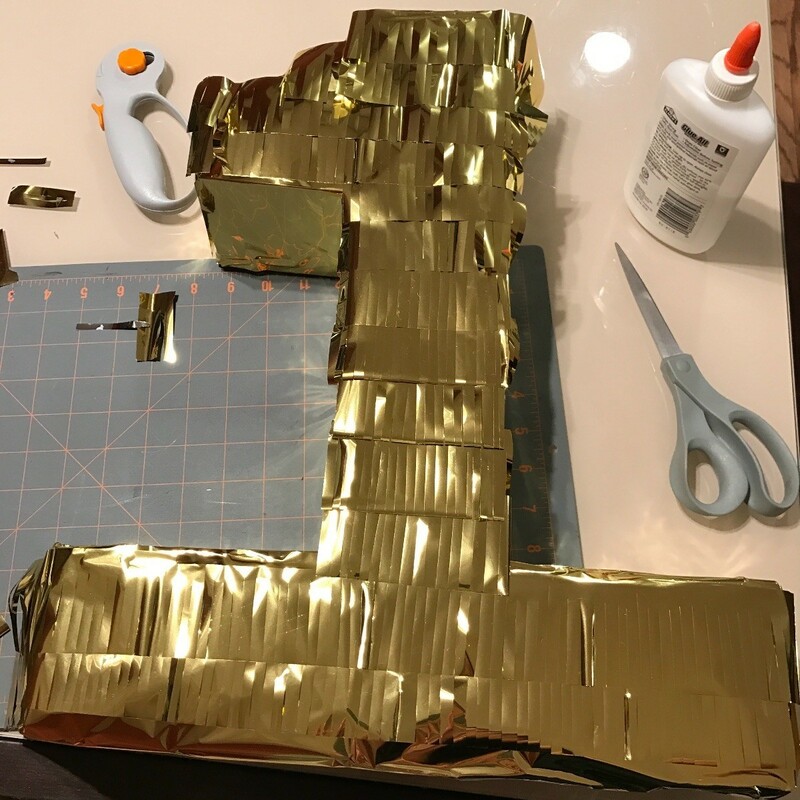 Time to make the fringes for the piñata. 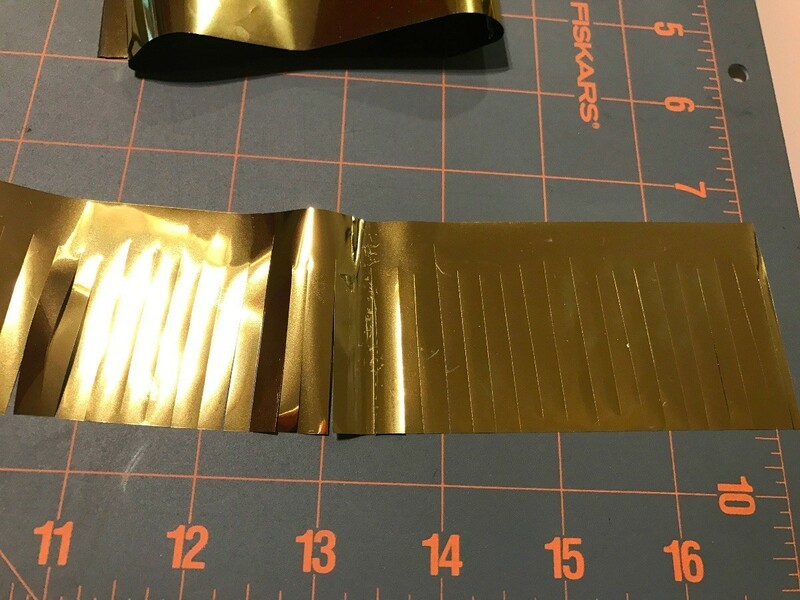 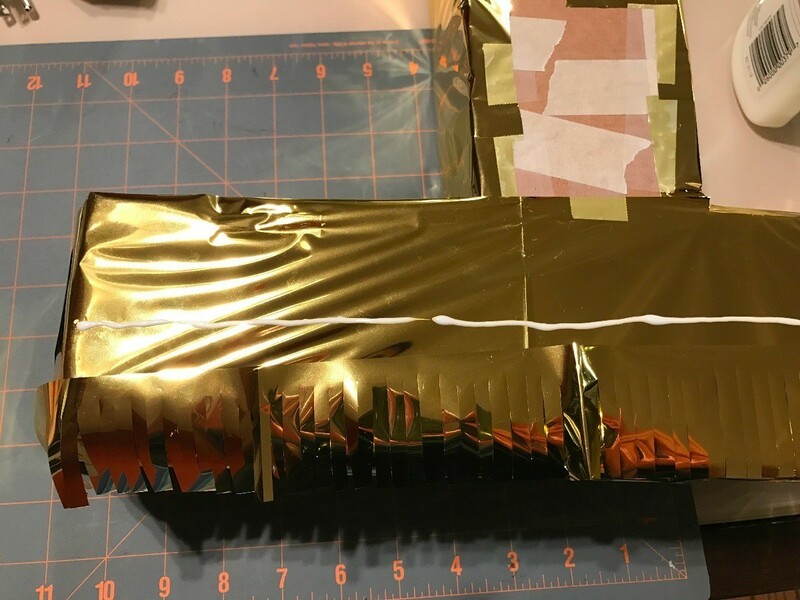 Decide how thick you want the gold strips to be, then cut slits all across the strip leaving 1-1.5 cm at the end. 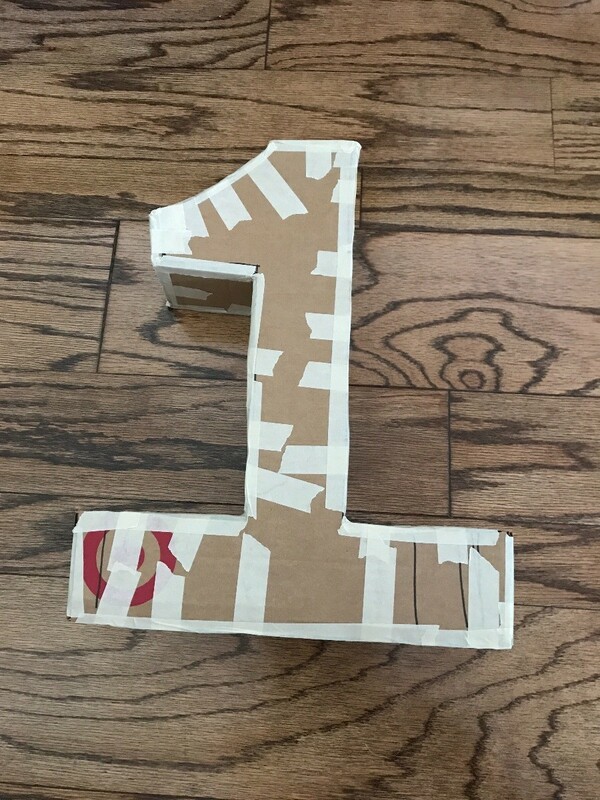 Cut the strips to fit the "1" until you covered the entire "1". 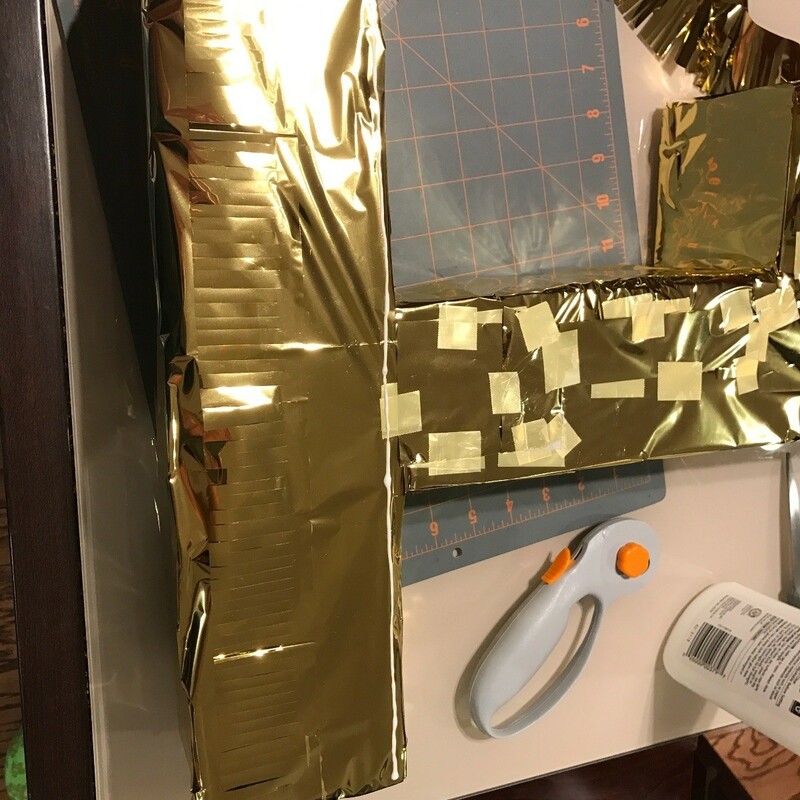 Glue down and repeat. 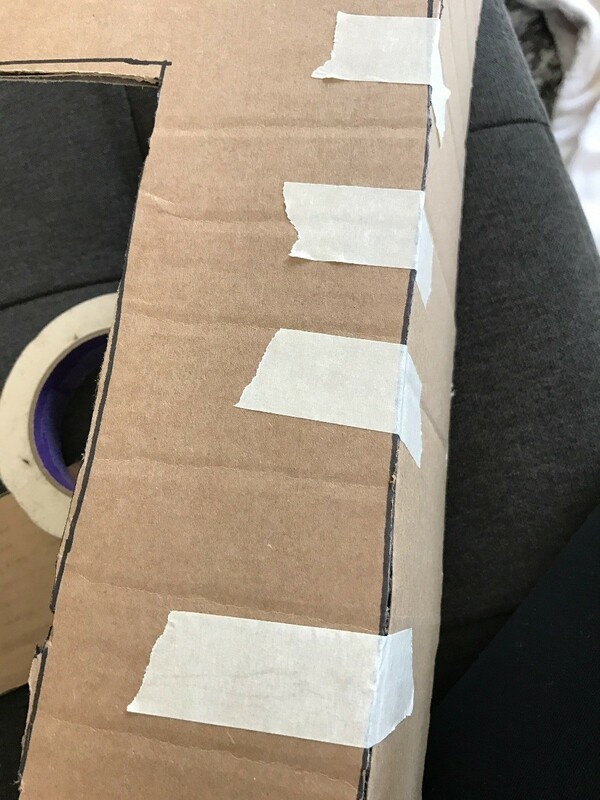 At the top cut a hole so you can put your goodies inside and cover the hole.